Maintaining a healthy and a glowing skin is not an easy job and the last thing you should do is to ensure that it is clean. However, the skin in the face is more sensitive than other areas of your body and should be given special attention to prevent the pores from clogging and minor blemishes from occurring. Your face needs special soaps and scrubs that remove dirt, grime, and grease gently without drying out your skin. You want to find beauty products that remove all these elements and then strengthen your skin while not interfering with the delicate PH balance, which means keeping your skin moisturized. One of the excellent ways of keeping your skin face healthy is to use a mask at least once a week. Face masks are the best products for rehydrating your skin and leaving it with an excellent glow. 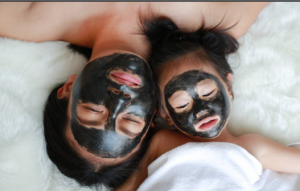 several natural face masks are available that can offer this function. Avocados are good products for maintaining your face. Avocados are rich in fatty acids and nutrients and differ in shades of green below the outer skin. The soft flesh green contains a seed in the middle. Many people eat avocados but they are unaware of how good they can be to their face when used as face masks. The fatty acids and nutrients within the fleshy part of the fruit are perfect for moisturizing your skin. To apply an avocado mask you have to slice the avocado into two and then remove the fleshy green area. You should then cover all your face with the flesh and leave it for ten to fifteen minutes after which you will remove with water. After applying this several times your face will look no different from the one treated in a professional clinic. Here are the best face masks. Aloe Vera is the other natural face mask that has been in use. Many people know about this product since it is employed in many beauty products. Aloe Vera is obtained from a cactus-like green plant which is very cheap. Aloe Vera is a good remedy for cuts, burns, or any other damaged area in the skin. Apart from these uses, it is also an excellent face mask. To use it you have to get a small piece of aloe Vera plant and press out the green gel liquid and then apply it on your entire face. Aloe Vera gives a cool sensation and will help moisturize all the skin tissue on your face. You should apply it three to four times a week for great results.